A recent federal court decision in a case involving a Verizon challenge to FCC “Net Neutrality” rules has inspired many breathless headlines about the death of the Internet as we know it. Because this will enable giant Internet providers to start prioritizing traffic based upon what their customers are willing to pay them, it deals a blow to the equal access the Internet has been known for. This decision is bad, but I see it as a foregone conclusion. The FCC is simply not setup to govern and regulate the amount of traffic that occurs on the Internet. Right now, I execute discriminatory decisions to maintain the health of the XMission network. Attacking IP addresses are blocked, not only against their targets, but against the entire XMission network. Spammer traffic is eliminated and resisted with high prejudice. If XMission was required by the FCC to not discriminate any traffic at all, these bad actors would have free reign over our network. They can make exceptions, but that has potential unintended consequences against future threats. This reflects what I have stated about Net Neutrality in the past. A number of customers have asked, “How does this affect XMission?” XMission will not and will never, as long as I am in charge, inspect, control, or discriminate Internet traffic for monetary gain. If you buy a connection from XMission, you get unfettered, unrestricted access to the Internet, no matter if you’re a small non-profit, or a large Fortune 100. This is the key here. Instead of petitioning and begging the FCC to do a job they are already ill-equipped to enforce, Americans should be encouraging the FCC and government to support municipal networks where competition can flourish. This week, I sat in a meeting of UTOPIA ISPs that filled a conference room. There were more ISPs in that room than people have access to in 99% of the United States. 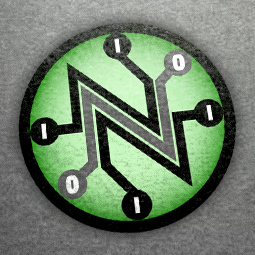 Robust competition is the solution to Net Neutrality concerns. If Comcast is restricting your access to Netflix because Netflix won’t pay their extortion, then switch to another ISP. Although XMission buys Internet transit from a number of providers, we seek peering with other services and networks wherever possible. We exchange network traffic directly with Netflix, Google, Facebook, Valve Software, and many others. These peers are unaffected by any discrimination by transit providers, because we talk to them directly. If any of our transit providers made the idiotic decision to start discriminating traffic, I (and most likely the rest of their customers) would drop them like a hot rock. These discriminatory practices are being put into place by non-technical executives who somehow believe that their network doesn’t need Internet destinations, of all sizes, as much as they need them. They somehow believe that ignoring the small and extorting the large is going to generate a better experience for their customers. The key to a free and open Internet is robust competition and this is what Americans should demand. Register for Ski PHP on January 17-18 See how a simple “+” brings unlimited flexibility to your XMission email. I appreciate your article and your stance on net neutrality. I think that you make a strong argument in regards to the FCC and their limited capabilities. In the end, you’re right, companies like XMission must make discriminatory decisions about the traffic on their network in order to protect their network and customers. That said, I want to segway into competition. I would like to ask you – do you truly believe we have robust competition here in the Salt Lake valley? I ask because where I live, I have two viable “high speed” options. For most people in this state I believe that is the case. Some (limited) cities have fiber of course, and wireless internet is also offered statewide, but for many, service issues are a concern with wireless. What is the next move for Utah in order to advance our competition and adopt true high speed networks to the home, more ISP options, as well as networks that remain unregulated? What is the next move for future Facebook’s, YouTube’s and Netflix’s that will now have to overcome (more) discriminatory acts? John, I don’t think we have robust competition in the Salt Lake valley. Many people look at UTOPIA as a failure because of the way it was financed, but it has been an overwhelming success in encouraging competition where it is available. What citizens and government need to understand is that open-access fiber is infrastructure and it does encourage competition. Then they need to realize that it isn’t free, and any private entity that puts it in is either going to be more expensive or a monopoly. Open access fiber networks should be considered the same as roads and plumbing.